The Andersen 400 window is the company's most popular and best reviewed product line. Similar to the Andersen 200 series, the 400 wood window uses a real pinewood on the interior and a vinyl cladding on the interior. Also similarly to the 200, the 400 has two model options to choose from, the Tilt-Wash and the Wood Wright. The Andersen 400 Tilt-Wash model has a PPG Flexicron finish across the sash and offers a superior sill design than its 200 counterpart. The Woodwright model offers a superior fibrex sill finish to the Tilt Wash and is the preferred model of the two. The 400 series comes in seven exterior colors and include canvas, black, sandtone, white, forrest green, Terratone and dark bronze. The window is also available into interior finishes and an interior Pine wood. The window offers tons of custom upgrades, including a huge range of metal hardware options that most companies can't touch in terms of the variety of materials. In general, the 400 offers better craftmanship and more options in terms of size, features and hardware over the Andersen 200 window. Many contractors would point to the 400 series as the best consumer value in the Andersen window family of products. Consumers can expect to the Anderson 400 window to run somewhere in the cost range of $80 - $90 per square foot for the window itself. Comparable windows include Eagle window prices, which is actually owned by Andersen, and Marvin Ultimate pricing. 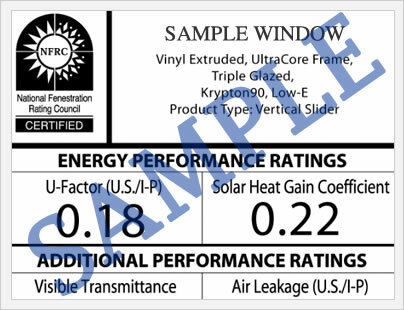 The Anderson 400 window with the standard low E glass package will deliver a U factor of .33, an SHGC of .42 and VT of .56. Upgrading to the better low E glass package will deliver a U factor of .26, an SHGC of .40 and a VT of .52. All in all, these are pretty standard to good numbers for a wood clad window. The Andersen 400 series comes with a 20 year limited warranty that covers the frame, sill and insulated glass unit from manufacturing defects. 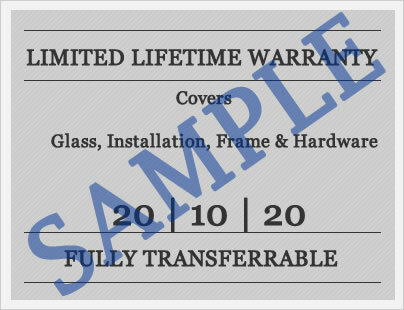 There is a 10 year warranty period on all components and hardware. The warranty is transferrable to another owner and does require notification to the company. Andersen Windows And Doors offers unique warranties on all of their specific window and door products so make sure to read the warranty in full on the product you are considering. Do you have questions on the Anderson 400 series window? Our editors John and Jim are always available to answer any questions you may have on any of the windows or doors that Anderson manufactures. Have you use the Anderson 400 window in the past and would like to add a review to our site? Reviews help consumers and homeowners get the best picture of the windows through unbiased reviews like yours.